Geopark Limited (NYSE: GPRK) announced its financial results for the third quarter 2018. 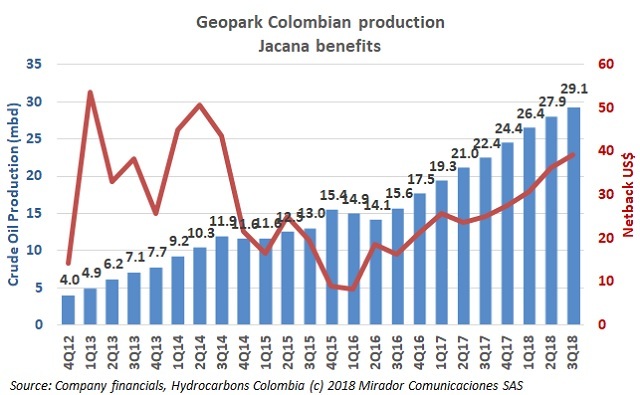 The company reported record oil and gas production and Colombia keeps increasing its participation in this key metric. The firm announced its 2019 work program and investment guidelines.